Skip the surgery, and use NuFACE micro-current devices to rid your face of the look of wrinkles, fine lines and sagging. We carry the award-winning NuFACE Trinity micro-current tool, as well as the classic and the mini NuFACE micro-current facial skin stimulation tool. These have been clinically tested to show measurable improvements in facial contour, skin tone and wrinkle reduction. Treat yourself to the NuFACE Luxe Gift Set. 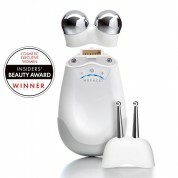 This gift set contains the NuFACE Trinity Facial Trainer Kit in icicle blue. 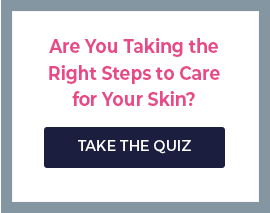 It includes a free .25-ounce container of NuFACE lifter serum, which has been formulated with vitamin C and hyaluronic acid that will make friends think you've had a face lift. The gift set includes a NuFACE cosmetic bag. Enjoy free shipping to the U.S. on any NuFACE device or skin care product.